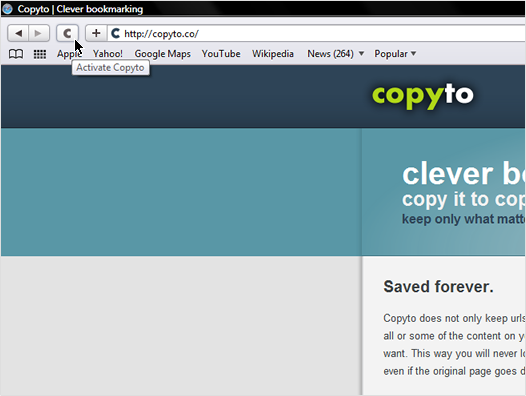 Copyto Safari extension provides you the clipping and full page saving functionality in just one button click from your browser. You can download the extension from here or the tools section of your account. 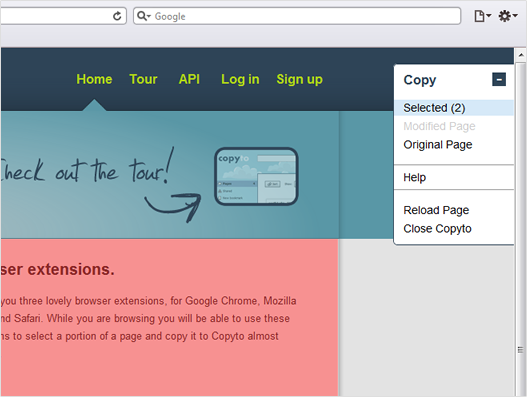 Please follow these steps to easily configure and start using your extension. 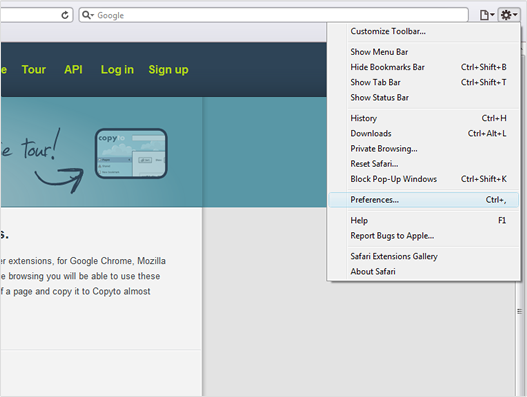 After downloading and installing the extension go to the "Preferences" section in your browser to configure your account details. 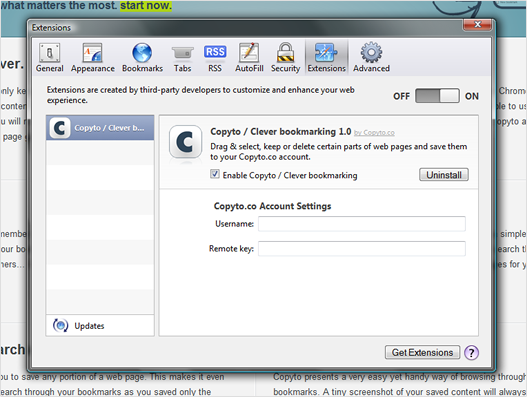 From the window that pops up go to the "Extensions" tab and select "Copyto / Clever bookmarking" from left. You will notice the "Username" and "Remote key" fields which you need to fill in order for the extension to successfully connect to your account.